A Quiet Corner: Were YOU Invited? 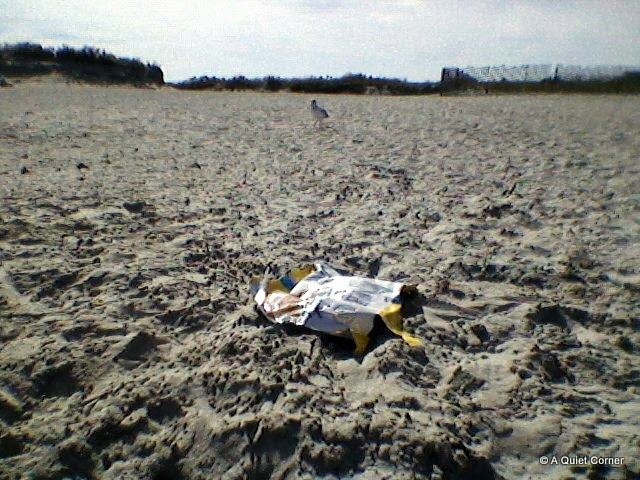 Last Thursday, my daughter called and invited me to meet them at the beach. I declined. I had an agenda in my mind...things I wanted to get done around the house and yard. It was all good. A few hours later, my daughter called telling me this story, which I just had to share! The two of them went for their usual walk along the edge of the water in search of sea glass. Heading back to their spot, my daughter said, "Honey, there's a lot of sea gulls near our stuff." "Now, let's be positive. I'm sure they didn't get into our stuff." 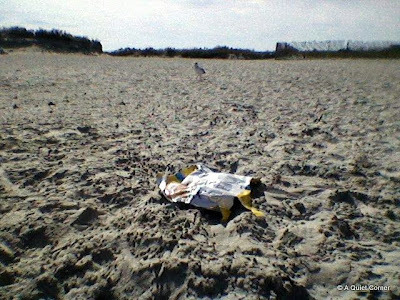 Much to their surprise, the PARTY SIZE bag of Lays purchased on their way to the beach sat in the middle of the cool soft sand surrounded by tons of footprints....totally empty. My response, besides laughing a lot? "Babe, the bag did say PARTY...they thought they were invited!"